The Connection Broker configuration file ssh-broker-config.xml is used by Tectia Client, ConnectSecure, and Tectia MFT Events on Unix and Windows, and additionally by the Tectia client tools on IBM z/OS and Linux for IBM System z. The Connection Broker configuration file must be a valid XML file that follows the ssh-broker-ng-config-1.dtd document type definition. "C:\Program Files\SSH Communications Security\SSH Tectia\SSH Tectia AUX\ssh-broker-ng\ssh-broker-config-default.xml"
"C:\Program Files\SSH Communications Security\SSH Tectia\SSH Tectia Broker\ssh-broker-config.xml"
"C:\Program Files\SSH Communications Security\SSH Tectia\SSH Tectia AUX\ssh-broker-ng\ssh-broker-ng-config-1.dtd"
The broker configuration file is a valid XML file and starts with the Document Type Declaration. FIPS mode will be used if it is so specified either in the global or the user configuration file (or both). In the FIPS mode, the cryptographic operations are performed according to the rules of the FIPS 140-2 standard. The FIPS library includes the 3des-cbc, aes128-cbc, aes128-ctr, aes192-cbc, aes192-ctr, aes256-cbc, and aes256-ctr ciphers, and all the supported hmac-sha1 and hmac-sha2 variants of MAC. See cipher and mac. The end-point-identity-check attribute specifies whether the client will verify the server's hostname or IP address against the Subject Name or Subject Alternative Name (DNS Address) specified in the server host certificate. The default value is yes. If set to no, the fields in the server host certificate are not verified and the certificate is accepted based on the validity period and CRL check only. If the default domain is not specified, the end-point identity check fails, for example, when a user tries to connect to a host "rock" giving only the short hostname and the certificate contains the full DNS address "rock.example.com". This element instructs Tectia ConnectSecure to periodically download a CRL from the specified URL. The url value can be an LDAP or HTTP URL, or it can refer to a local file. The file format must be either binary DER or base64, PEM is not supported. This element defines whether the certificates are required to be compliant with the US Department of Defense Public-Key Infrastructure (DoD PKI). In practise, this means that the Digital Signature bit must be set in the Key Usage of the certificate. The enable attribute can have a value of yes or no. The default is no. The type attribute is the key store type. The currently supported types are "entrust", "mscapi", "pkcs11", "software", and "zos-saf". Entrust is supported on Windows, only. The init attribute is the initialization info specific to the key-store-provider. The initialization string can contain special strings explained above in key-stores, see key-stores. This element is deprecated starting from Tectia ConnectSecure version 6.1.4. The user-config-directory setting affects all Tectia products running on the same host, for example Tectia Client, Tectia ConnectSecure and Tectia MFT Events. In the table: No means file-access-control enable="no". Sign - means that the setting is not included in the file at all. With value plain, the file name format will be key_<port>_<hostname>.pub, where <port> is the port the Secure Shell server is running on and <host> is the hostname you use when connecting to the server; for example "key_22_my.example.com.pub". The software provider handles key pairs stored on disk in standard Secure Shell v2 or legacy OpenSSH formats and X.509 certificates stored in native X.509, PKCS#7, and PKCS#12 formats. The PKCS#11 provider handles keys and certificates stored in PKCS#11 tokens (for example, smart cards or USB tokens). The default-settings element can contain zero or one instance of the following elements in the listed order: ciphers, macs, kexs, hostkey-algorithms, rekey, authentication-methods, hostbased-default-domain, compression, proxy, idle-timeout, tcp-connect-timeout, keepalive-interval, exclusive-connection, server-banners, forwards, extended, remote-environment, server-authentication-methods, authentication-success-message, sftpg3-mode, terminal-selection, terminal-bell, close-window-on-disconnect, quiet-mode, and checksum. The supported ciphers are 3des-cbc, aes128-cbc, aes192-cbc, aes256-cbc, aes128-ctr, aes192-ctr, aes256-ctr, arcfour, blowfish-cbc, twofish-cbc, twofish128-cbc, twofish192-cbc, twofish256-cbc, crypticore128@ssh.com, seed-cbc@ssh.com, and none (no encryption). The default ciphers used by the Connection Broker are, in order: crypticore128@ssh.com (on Windows and Linux x86), aes128-cbc, aes128-ctr, aes192-cbc, aes192-ctr, aes256-cbc, aes256-ctr, and 3des-cbc. The ciphers that can operate in the FIPS mode are 3des-cbc, aes128-cbc, aes128-ctr, aes192-cbc, aes192-ctr, aes256-cbc, and aes256-ctr. The supported MAC algorithms are hmac-md5, hmac-md5-96, hmac-sha1, hmac-sha1-96, hmac-sha256-2@ssh.com, hmac-sha224@ssh.com, hmac-sha256@ssh.com, hmac-sha384@ssh.com, hmac-sha512@ssh.com, crypticore-mac@ssh.com, and none (no data integrity verification). The default MACs used by the Connection Broker are, in order: crypticore-mac@ssh.com (on Windows and Linux x86), hmac-sha1, hmac-sha1-96, hmac-sha256-2@ssh.com, hmac-sha224@ssh.com, hmac-sha256@ssh.com, hmac-sha384@ssh.com, and hmac-sha512@ssh.com. The hmac-sha algorithm variants can operate in the FIPS mode. The supported KEX methods are diffie-hellman-group1-sha1, diffie-hellman-group14-sha1, diffie-hellman-group14-sha224@ssh.com, diffie-hellman-group14-sha256@ssh.com, diffie-hellman-group15-sha256@ssh.com, diffie-hellman-group15-sha384@ssh.com, diffie-hellman-group16-sha384@ssh.com, diffie-hellman-group16-sha512@ssh.com, diffie-hellman-group18-sha512@ssh.com, diffie-hellman-group-exchange-sha1,diffie-hellman-group-exchange-sha256,diffie-hellman-group-exchange-sha224@ssh.com,diffie-hellman-group-exchange-sha384@ssh.com,diffie-hellman-group-exchange-sha512@ssh.com. The default KEX methods used by the Connection Broker are, in order: diffie-hellman-group1-sha1, diffie-hellman-group14-sha1, diffie-hellman-group14-sha256@ssh.com, diffie-hellman-group-exchange-sha1, and diffie-hellman-group-exchange-sha256. Due to issues in OpenSSL, the following KEXs cannot operate in the FIPS mode: diffie-hellman-group15-sha256@ssh.com and diffie-hellman-group15-sha384@ssh.com. This element defines the host key signature algorithms used for server authentication. The algorithms to be used are configured in both the Connection Broker and Tectia Server configuration files. The algorithms that will be used are those that are defined in both Tectia Server and Connection Broker configuration files. This way the use of only certain algorithms, such as SHA-2, can be enforced by the server. The hostkey-algorithms element can contain multiple hostkey-algorithm elements. The supported host key signature algorithms are ssh-dss, ssh-dss-sha224@ssh.com, ssh-dss-sha256@ssh.com, ssh-dss-sha384@ssh.com, ssh-dss-sha512@ssh.com, ssh-rsa, ssh-rsa-sha224@ssh.com, ssh-rsa-sha256@ssh.com, ssh-rsa-sha384@ssh.com, ssh-rsa-sha512@ssh.com, x509v3-sign-dss, x509v3-sign-dss-sha224@ssh.com, x509v3-sign-dss-sha256@ssh.com, x509v3-sign-dss-sha384@ssh.com, x509v3-sign-dss-sha512@ssh.com, x509v3-sign-rsa, x509v3-sign-rsa-sha224@ssh.com, x509v3-sign-rsa-sha256@ssh.com, x509v3-sign-rsa-sha384@ssh.com, and x509v3-sign-rsa-sha512@ssh.com. The default host key signature algorithms used by the Connection Broker are, in order: ssh-dss, ssh-rsa, ssh-dss-sha256@ssh.com, ssh-rsa-sha256@ssh.com, x509v3-sign-dss, x509v3-sign-rsa, x509v3-sign-dss-sha256@ssh.com, and x509v3-sign-rsa-sha256@ssh.com. When several interactive authentication methods are defined as allowed, Tectia ConnectSecure will alternate between the methods and offers each of them in turn to the server in case the previous method failed. The allowed authentication method names are: gssapi-with-mic, publickey, keyboard-interactive, password, and hostbased. Tectia ConnectSecure supports host-based authentication only on Unix platforms. This element specifies the local hostname, as the value of the name attribute, that is advertised to the remote server during host-based authentication. The auth-publickey element can include a signature-algorithms attribute. The attribute defines the public-key signature algorithms used for client authentication. The algorithms to be used are configured in both the Connection Broker and Tectia Server configuration files. 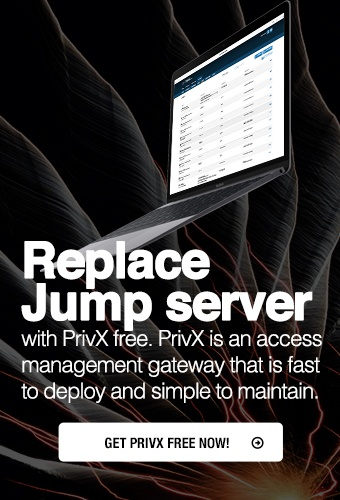 The algorithms that will be used are those that are defined in both Tectia Server and Connection Broker configuration files. This way the use of only certain algorithms, such as SHA-2, can be enforced. For a list of the supported algorithms, see hostkey-algorithm . On Windows, the dll-path attribute is ignored. Tectia ConnectSecure locates the correct DLL automatically. The allow-ticket-forwarding attribute defines whether Tectia ConnectSecure allows forwarding the Kerberos ticket over several connections. The attribute can have a value of yes or no. The default is no. The default domain name is appended to the short hostname before transmitting it to the server. This is needed because some platforms (Solaris for instance) use the short format of the hostname, and with that the signature cannot be created. The level attribute can be given an integer from 0 to 9. The default compression level is 6, when compression is activated but no level is given. The format of the attribute value is a sequence of rules delimited by semicolons (;). Each rule has a format that resembles the URL format. In a rule, the connection type is given first. The type can be direct, socks, socks4, socks5, or http-connect (socks is a synonym for socks4). This is followed by the server address and port. If the port is not given, the default ports 1080 for SOCKS and 80 for HTTP are used. An example proxy element is shown below. It causes the server to access the callback address and the ssh.com domain directly, access *.example with HTTP CONNECT, and all other destinations with SOCKS4. This element specifies a timeout for the TCP connection. When this setting is made, connection attempts to an Secure Shell server are stopped after the defined time if the remote host is down or unreachable. This timeout overrides the default system TCP timeout, and this timeout setting can be overridden by defining a tcp-connect-timeout setting per connection profile (in the profiles settings) or per connection (on command line). The exclusive-connection element can be used to specify that a new connection is opened for each new channel. This setting takes one attribute enable, with value yes or no. The default is no, meaning that open connections are reused for new channels requested by a client. For more information on using X11 and agent forwarding, see X11 Forwarding and Agent Forwarding. This server-authentication-methods element can be used to force the Connection Broker to use only certain methods in server authentication. This element can contain auth-server-publickey and auth-server-certificate elements (one of each). Alternatively, you can specify up to two authentication-method elements. The order of these elements is free. This setting should be used only if logging is enabled for the Connection Broker (by default, logging is enabled only if the Broker is run by the Tectia MFT Events service). In policy modes other than strict, if logging is enabled for the Connection Broker, Tectia ConnectSecure will log information about changed and new host public keys with their fingerprints in the syslog (on Unix) or Event Viewer (on Windows). When transparent FTP tunneling or FTP-SFTP conversion is used, accepting the host key cannot be prompted from the user. Either the policy must be set to tofu or the host keys of the Secure Shell tunneling and SFTP servers must be obtained beforehand and stored based on the IP addresses of the servers. If the policy attribute is not defined, the host key policy is interpreted based on the values of the old strict-host-key-checking, host-key-always-ask, and accept-unknown-host-keys options as shown in Table A.2 below. yes|YES - MD5 checksums are checked on files larger than 32kB. The profile element defines a connection profile. It has the following attributes: id, name, host, port, protocol, connect-on-startup, user, and gateway-profile. If you want to make the connection specified by the profile automatically when the Connection Broker is started, set the value of the connect-on-startup attribute to yes. In this case, give also the user attribute (the username the connection is made with). You also need to set up some form of non-interactive authentication for the connection. This element defines the hostkey signature algorithms used with this profile. See hostkey-algorithms for details. This element defines whether a new connection is opened for each new channel when a connection is made with this profile. This setting takes one attribute enable, with value yes or no. The default is no, meaning that open connections are reused for new channels requested by a client. See also exclusive-connection. The type attribute defines the type of the tunnel. This can be tcp (default, no special processing), ftp (temporary forwarding is created for FTP data channels, effectively securing the whole FTP session), or socks (Tectia Client/ConnectSecure will act as a SOCKS server for other applications, creating forwards as requested by the SOCKS transaction). For more information on using local tunnels, see Local Tunnels. For more information on using remote tunnels, see Remote Tunnels. The static-tunnels setting is used to configure the behaviour of the automatic tunnels. You can create listeners for local tunnels automatically when the Connection Broker starts up. The actual tunnel is formed the first time a connection is made to the listener port. If the connection to the server is not open at that time, it will be opened automatically as well. The type attribute defines the type of the tunnel. This can be either tcp or ftp. The gui element is used to adjust the Tectia terminal GUI settings. The gui element takes the following attributes: hide-tray-icon, show-exit-button, show-admin, enable-connector, and show-security-notification. The last two settings have effect only when transparent TCP tunneling is activated on the system. All of these must have yes or no as the value. The hide-tray-icon attribute controls whether the Tectia icon is displayed in the system tray. The default is no (the tray icon is displayed). The show-exit-button attribute controls whether the Exit command is displayed in the shortcut menu of the Tectia icon. The default is yes. The show-admin attribute defines whether the Configuration command is displayed in the Tectia icon shortcut menu. The default is yes. If the button is not displayed, the Tectia Connections Configuration GUI can be started by running ssh-tectia-configuration.exe, located by default in directory "C:\Program Files\SSH Communications Security\SSH Tectia\SSH Tectia Broker". The enable-connector attribute defines whether transparent TCP tunneling is active and capturing application connections for tunneling. The default is yes. On Windows, the show-security-notification attribute defines whether the Tectia security notifications are shown upon establishing or closing transparent TCP or FTP tunnels. The default is yes. The filter-engine element handles the connection capture settings related to FTP-SFTP conversion, transparent FTP tunneling, and transparent TCP tunneling. The filter-engine element is read from the global configuration file, if such a file is available (Tectia Client/ConnectSecure is controlled by Tectia Manager). Only when the global configuration file does not contain the filter-engine element, this element is read from the user-specific configuration file. On Unix, the global configuration is stored as /etc/ssh2/ssh-broker-config.xml, and on Windows as "C:\Program Files\SSH Communications Security\SSH Tectia\SSH Tectia Broker\ssh-broker-config.xml". On Windows: "<INSTALLDIR>\SSH Tectia Broker\ssh-broker-config-example-capture.xml" and "<INSTALLDIR>\SSH Tectia Broker\ssh-broker-config-example.xml"
The top level element is filter-engine. It has two attributes: ip-generate-start and ftp-filter-at-signs (used with Tectia ConnectSecure, only). The ip-generate-start attribute defines the start address of the pseudo IP address space. Pseudo IPs are generated by the Connection Broker when applications do the DNS query through the SSH connection capture component. With Tectia ConnectSecure, the ftp-filter-at-signs attribute can be used with FTP-SFTP conversion when scripts are used to open a connection directly from the FTP/SFTP client to the SFTP server, bypassing any proxies. This attribute defines that Tectia ConnectSecure uses the FTP user name, FTP server name, and FTP server password specified in the FTP script. The FTP script is expected to specify the username in format ftp-user@proxy-user@ftp-server and the password in format ftp-password@proxy-password. The @ sign is used to extract the relevant data from the strings. The ftp-filter-at-signs takes yes and no as values, no is the default. When ftp-filter-at-signs="yes", Tectia ConnectSecure cuts the username string at the first @ sign to extract the ftp-user and at the last @ sign to extract the ftp-server, and the rest of the string is ignored. Likewise, the passwords string is cut at the last @ sign and the first part is used as the password on the SFTP server. The network element specifies a "location" where Tectia Client/ConnectSecure is running. By using the network element, you can implement location-awareness for Tectia Client/ConnectSecure. It has four attributes: id, address, domain, and ip-generate-start. The id attribute specifies a unique identifier for the network element. The address attribute specifies the address of the network. It can be missing or empty, in which case it is not used. The domain attribute contains the domain name of the computer. It can also be missing or empty, in which case it is not used. The ip-generate-start attribute defines the start address of the pseudo IP space. If it is defined here, it overrides the ip-generate-start attribute of the filter-engine element. The rule element specifies how a filtered connection will be handled. It has the following attributes: application, host, ip-address, pseudo-ip, ports, action, profile-id, destination, destination-port, username, hostname-from-app, username-from-app, fallback-to-plain. The application attribute can be used to specify one or more applications to which the rule is applied. This can be a regular expression using the egrep syntax. For information on the syntax, see Appendix D.
The host attribute specifies a target hostname. It can be a regular expression using the egrep syntax. The ip-address attribute specifies the target host IP address. It can be a regular expression using the egrep syntax. If both the hostname and the IP address are defined, the host attribute takes precedence and the ip-address attribute is ignored. When pseudo-ip="no", a normal DNS query is made for the target hostname. The default value is no. For FTP-SFTP conversion, always specify the port unambiguously if fallback mode is set. Do not use an asterisk (*), because it causes problems in passive mode file transfer when connected to a plaintext FTP server. When hostname-from-app="yes", the tunnel or FTP-SFTP conversion will be created to the destination server specified by the application. This setting can be used with both FTP and TCP tunneling and FTP-SFTP conversion. When using hostname-from-app="yes", it is no longer necessary to create a separate connection profile for each destination host. Note that this requires that a Secure Shell server is installed to each destination server (or that fallback-to-plain is enabled to allow direct connections to those servers that do not have Secure Shell installed). The fallback-to-plain attribute can be used to define whether a direct (unsecured) connection is used if creating the tunnel fails or the connection to the Secure Shell server fails. The default value is no. Normally, when the secured connection fails when applying a filter rule, the Connection Broker will return a "host not reachable" error. In FTP-SFTP conversion on Unix, fallback-to-plain requires that option -F is used with the ssh-capture command. For more details, see ssh-capture (on Unix)(1) manual page. An example filter engine configuration with Tectia ConnectSecure on Windows is shown below. Telnet connections to port 23 are blocked. All connections from FTP applications are secured by transparent FTP tunneling, if creating the tunnel succeeds. With those connections that fail in secure mode, the connection is made in plain-FTP mode. The destination server and the user name are defined by the FTP application. On Unix platforms, specifying the application with a long application name (with the path) will not work in all cases. Use short application names. All other application connections are tunneled through a connection profile named paper. The profile defines the destination server and the user name used for connecting. On Windows, only the normal and discard facilities are used. For a complete list of log events, see Appendix E.
An example logging configuratin in which events are logged to /tmp/foo, except those whose event name matches "Key_store_*", which will be discarded.